CGI stands for common gateway interface. A CGI web site is similar to a HTML web site but with more functionality. Similar to the HTML site you can use images and text in any combination you like. Unlike the static HTML site it stores text in a database and that allows you to easily manipulate the text. The bonus of CGI is that you can log into your web page from anywhere in the world and change information on the fly without knowing anything about HTML or coding whatsoever. All you need is a computer that connects to the Internet. We design and code you a tailor-made template to suit your specific needs then you can dynamically create new sub pages on the fly. 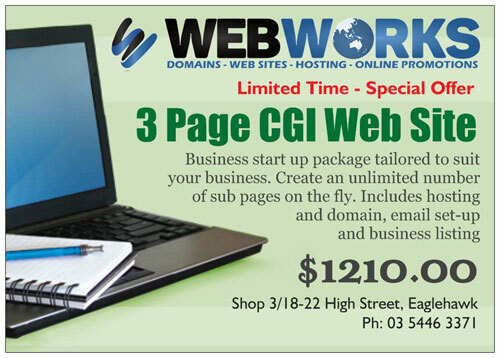 A 3 page starter CGI web site will cost you around $1000 + GST. With the starter in place you can then create as many extra pages as you want, and all it will cost you is your time.